Walls of floor-to-ceiling windows accent the contemporary-style design of the Gallery Condos. One of the newer construction options of condo living in coveted Buckhead, the luxury tower includes such desirable features and finishes as hardwood flooring, stainless steel appliances and granite countertops. In addition, of majority of the condos within Gallery also offer the advantage of covered, private terraces. Constructed in the mid 2000s, the 26-story building offers more than 200 condo units, coming in one-, two- and three-bedroom designs. As well, the property also offers two-story penthouse units. Extra amenities of living within the Gallery Condos include access to a 24-hour concierge and fitness center along with a community swimming pool and a tennis court. As well, the building also offers sensational views of the surrounding neighborhood and the downtown skyline. For more information about Gallery Buckhead condos for sale, contact the Zac Team today to schedule a private tour of the building and any of its available units! Listed below are recently closed sales at the Gallery Residences in Buckhead. 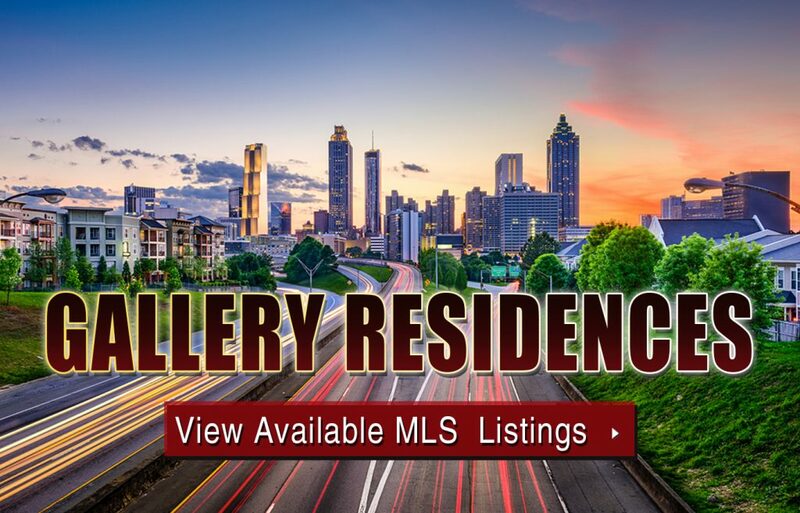 Whether you’re thinking about buying or selling a condo at Gallery Atlanta, checking to see what other comparable properties have sold for in recent weeks and months provides helpful insight into current market conditions within the community. For more information about Gallery Buckhead condos for sale or for a complete list of recent condos sold in the neighborhood, contact The Zac Team today! Can’t find what you’re looking for in Atlanta’s Gallery Residences condo building? Start browsing other Atlanta real estate for sale or give the Zac Team a call at 404.564.7272 for help with your new home or condo search today!